HP-280 Imprinter — Sealer Sales, Inc. The HP-280 semi-automatic table-top imprinter is the perfect unit for anyone looking for an affordable imprinter that is quick and easy to use. The HP-280 imprinter uses hot stamping ribbon and prints clearly on flexible and non-flexible packaging materials. The resulting imprint dries instantly and works great in humid environments. On the automatic mode, operator can set the printing speed with a control know. Speed ranges from 20-70 imprints/minute. Using the manual mode, imprinting is controlled by using a foot switch. Ribbon up to a maximum width of 35mm can be used. Equipped with vertical and horizontal guides, the HP-280 can print nearly anywhere on your packaging material. Pressure of the imprinting can also be easily adjusted. 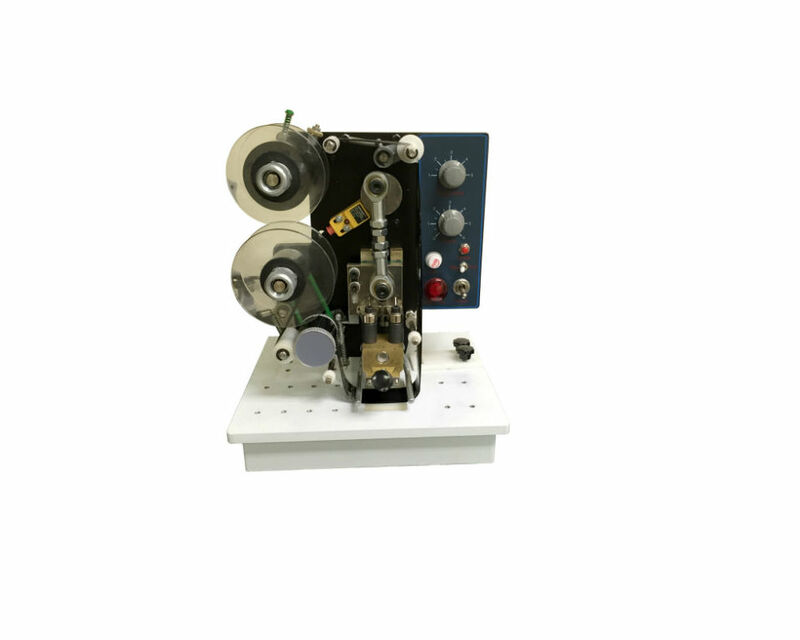 HP-280 is equipped with standard three line imprinting and max 14 characters per line. We also carry an optional four line imprinter. Dimensions 14" x 14" x 14"